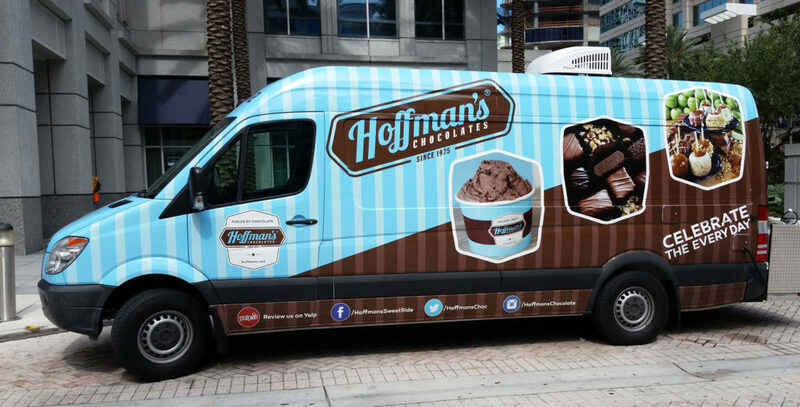 Hoffman’s Chocolates is excited to celebrate the launch of Hoffman’s Chocolates Sweet Ride, its new mobile truck serving gourmet chocolate, ice cream, caramel apples, and an assortment of other confections. 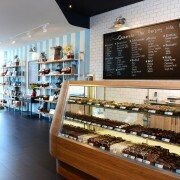 The gourmet chocolatier’s new mobile extension strives to “Make Life Sweeter” for people as they “Celebrate the Everyday” with Hoffman’s Chocolates, wherever they are! 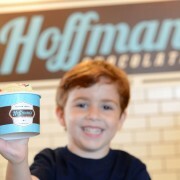 Hoffman’s Chocolates Sweet Ride will be run by Sweet Ride Manager, Grant Belgrave. Patrons can indulge in an assortment of chocolate and confections, such as Chocolate Covered Pretzel Bites, S’mores, Peanut Butter Cups, Chocolate Covered Graham Crackers, along with fan favorites – Coconut Cashew Crunch and Gourmet Caramel Apples. 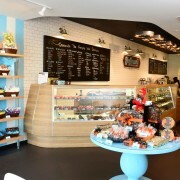 In addition, people can order from a vast selection of ice cream flavors, toppings and milkshakes. 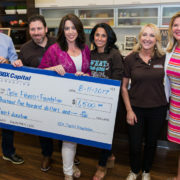 Not only do customers have the opportunity to order delicious Hoffman’s Chocolates treats from the Sweet Ride food truck, but they can also enjoy an interactive photo opportunity. Customers are encouraged to take their photo in front of the food truck, upload their photo to Facebook and tag @HoffmansSweetRide for the chance to have their sweet snapshot appear on the digital photo screen on display on the side of the truck. Hoffman’s Chocolates Sweet Ride is available to book for your events and special occasions like Bar and Bat Mitzvahs, Birthday parties, etc. The Sweet Ride is available for South Florida events in Palm Beach County, Broward County and beyond. The next event the food truck will make an appearance at is on August 5th at 8 p.m. in Boca Raton at the screening of Star Wars: The Force Awakens in Mizner Park. In the future, the Sweet Ride will be available for private events. 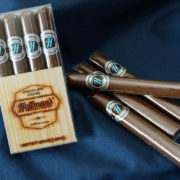 For more information on how to book the Sweet Ride for your special occasion or to find a Hoffman’s Chocolates location near you, please visit Hoffmans.com.